Animoji is one of the awesome features iPhone X carries along with iOS 11. But surprisingly, it’s not available for any other iPhones or iPads even then if your device is updated to iOS 11. Don’t worry, that’s not the end, In this article, I will help you download Supermoji for iOS 11 so that you will be able to get Animojis on any iPhone you have. Actually, iPhones other than iPhone X won’t get Animojis (including iPhone 8). Let me first tell you what is Animoji and how it is different from emojis. Emoji and Animoji belong to the same category, expressing feelings. But there is a noticeable difference between both of them. Animoji uses a 3D technology that captures your facial feelings, expressions, actions, and molds into a specific gesture. Whereas, the Emojis are prebuilt and you can use them readily. Now, let’s see how to get animojis on iPhone 8, iPhone 7S, iPhone 7s Plus, iPhone 6, iPhone 6s Plus, iPhone 5s, iPhone 4s. How to Get Animojis on any iPhone in 2018? There are various Unicode iOS 11 Emojis available on the internet but they are not animojis. Don’t get confused, you won’t be able to copy and paste them from any third party websites. Then, is there any application that provides animoji?, I am coming to that point. Supermoji is a new application made available for all iPhones, iPad, iPods. It carries a great collection of animojis to use however you do use in iPhone X. You don’t need to do anything, just download supermoji for your iPhone from the app store and start using. Follow the instructions provided here right away. Download and Install SuperMoji App on your iPhone or iPad from this link provided below. Start expressing yourself with brand new animojis, cool font styles and a lot more. If you are about to buy iPhone X only because of the animojis, hold on a minute, try out Supermoji app on your present iPhone. So, the wait is over! 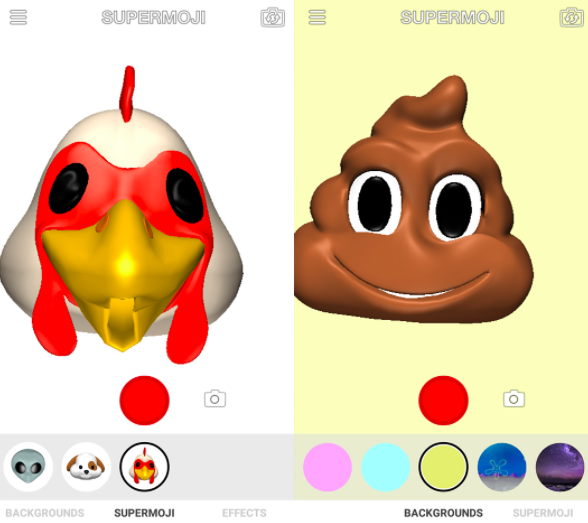 you can try out the animojis on any iPhone using the supermoji iOS app. Follow the instructions provided in this article and start expressing yourself in any conversation.